We’ve barely made use of our two space heaters since the day fire was born. 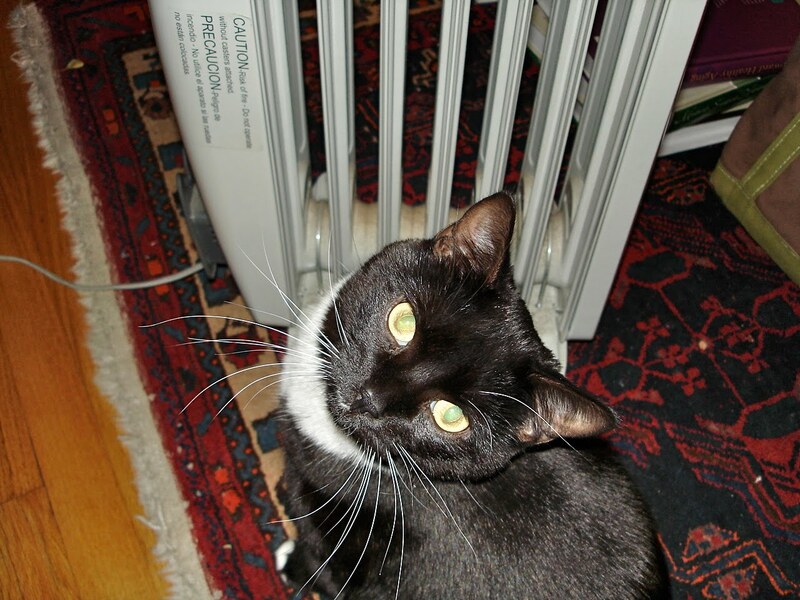 But yesterday we were both out all day, the house was chilly (49º) when we came home, and for the couple hours we’d be up before bed J. logically opted to use a bit of miniature electric radiator rather than fire up the the wood stove. A little later she asked me to turn it down, so I set it on “medium” power and thermostat setting. This morning I got up, came downstairs to the kitchen, and my first thought was, “Whoa whoa whoa… it’s crazy warm down here.” Then J. got up, came down, and had the same reaction. Yes, obviously, we forgot to shut off the little heater. But the funny thing is, it was only 57º in here– a temperature which, in old times, I would’ve found shockingly cold in the morning, rather than shockingly warm. Truly, you do adapt. This entry was posted on November 23, 2010 at 7:46 am and is filed under Uncategorized. You can follow any responses to this entry through the RSS 2.0 feed. You can leave a response, or trackback from your own site. All that wasted energy!!!! Gah!!!! I *hate* it when I do that!